I made this for a friend who is moving in into her new home. I bought some new paint from ebay last month after watching the demo on YouTube. The paints are from LuminArte Silks acrylic glaze range and Viva Decor Precious Metal Colour. The color looks really vibrant but when it comes to varnishing part, the paint bleeds even though I already waited a few days for it to dry. I guess it needs to be sprayed with fixative before I could varnish the board with brush. I hope my friend will like this piece that I made for her. 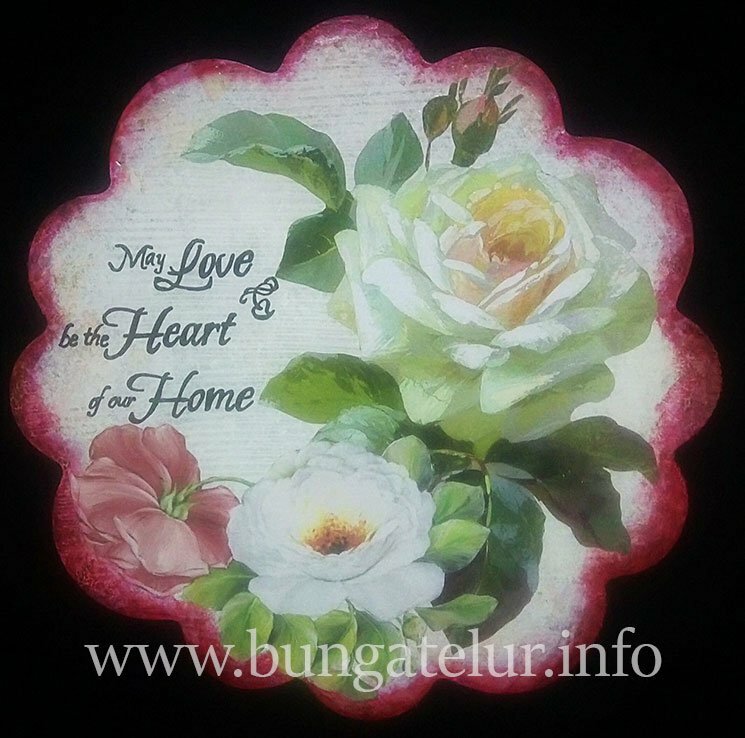 For this wall decoration, I used the roses decoupage paper from the class I attended previously.